XPRIMM: What are your estimates of the 2018 market - was it more successful than 2017 or vice versa? What key events would you point out from 2018 and how did they affect the market? What main trends would you underline and which of them, in your opinion, will continue this year? Dinara TEZEKBAEVA: Considering last year's results for the Kyrgyz insurance market, it is necessary to note a continuing trend of GWP growth in the whole market. Global trends have a very small impact on the Kyrgyz insurance market due to the low integration level of the country's economy into the global economic system. At the same time, we should keep in mind some factors hindering insurance market growth, such as the low level of insurance culture and public confidence. In addition, the general economic situation and slow economic growth in Kyrgyzstan also have a significant impact. Of course, the government is making huge efforts to make insurance services more available and introduce compulsory insurance. Laws for compulsory insurance of passenger transportation and transportation of dangerous cargo, employer's liability and others have already been adopted. The law of the Kyrgyz Republic on Compulsory Insurance of Civil Liability for Motor Vehicle Owners, adopted in 2015 and scheduled to enter into force February 2019, will give an effective impetus to insurance market development. XPRIMM: What did 2018 bring to your company - were there any significant changes? How successful was the year in terms of GWP? Were there any big indemnities paid and any new insurance products introduced? Dinara TEZEKBAEVA: I'd like to first look at the company's achievements last year. For over 20 years INGOSSTRAKH insurance company (KYRGYZSTAN) has been the constant leader of the Kyrgyz insurance market, having a rather high paid-up charter capital among other insurance companies, operating in Kyrgyzstan. The equity capital of INGOSSTRAKH (KYRGYZSTAN) is more than KGS 258.09 million, including its charter capital of KGS 190 million. In 2017, the company's GWP exceeded KGS 414.6 million, which accounted for 38.96% of the total market, and in 2018 GWP it reached KGS 422.6 million. As we can see, there is small, but steady growth. 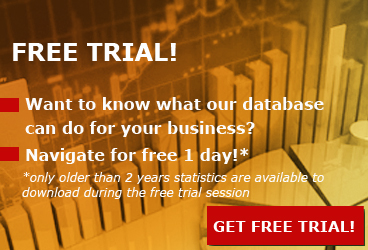 This indicates a growing confidence in the company from the population and business. In 2018, INGOSSTRAKH carried out large-scale changes to optimize activities, including the business process, measures for improving insurance service quality and structural reforming. The efforts allowed the company to obtain a certificate of compliance with quality system requirements for organizations and enterprises of the international quality standard ISO 9001. In 2018, the company developed and introduced two completely new insurance products based on actuarial analytical calculations. Within the framework of regional development, as announced by the President of the Kyrgyz Republic, the government is making significant efforts to develop livestock farming, allocating large financial resources to support farmers and has established programs for preferential loans to farmers. Several financial organizations provide farmers with large loans for the development of breeding farms. In order to support high-intensity agricultural production, reduce and cover risks of breeding pedigree animals, INGOSSTRAKH has developed the product of animal insurance. Another new product is insurance for vehicle damage repair costs. This insurance type will be of interest for vehicle owners, who prefer to use safe, tested and properly maintained vehicles. The company constantly monitors insurance technologies, studies the best global practices of the insurance market in order to provide insurance services that meet current requirements. I'd like also to inform you that on January 31, 2018 a general meeting of shareholders decided to rename the Closed Insurance Joint Stock Company KYRGYZINSTRAKH (CJSC KYRGYZINSTRAKH): Closed Insurance Joint Stock Company INGOSSTRAKH (CJSC INGOSSTRAKH). It should be noted that the name change did not lead to any changes in company policy. At the same time, the INGOSSTRAKH brand means that we belong to one of the leading international insurance companies, with more than 50 years of history, combining confidence, reliability, innovation, friendliness and attention to customers and partners. The parent company affirms this with consistent policy aimed at developing and strengthening the financial stability of its subsidiaries. INGOSSTRAKH is committed to ensuring the transparency of its foreign subsidiaries though international auditing and consolidation of financial statements based on international standards. The name change did not affect our business relations, CJSC INGOSSTRAKH is still responsible for all its obligations in full. Reliability and a perfect reputation are main features of our company. XPRIMM: In your opinion, how well developed is insurance in the country, compared to other markets? What prospects for international cooperation would you point to? Dinara TEZEKBAEVA: After gaining independence and commercializing, the Kyrgyz Republic underwent social, economic and political reforms and transformations in all areas of life. 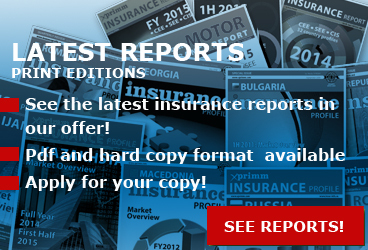 Current trends in economic development have also affected the insurance market. It is hard to compare insurance markets of developed countries and former Soviet Union countries due to completely different levels of insurance culture. 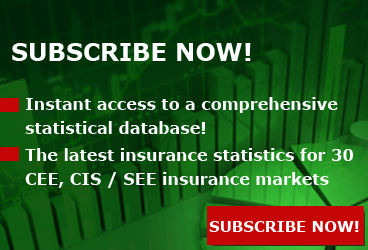 In CIS countries, the rapid development of insurance markets has been observed for only a few years; however, despite this, the insurance market has great development potential. 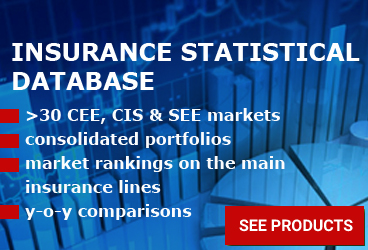 Because of its small volume, the CIS market was less affected by the insurance crisis, which occurred as part of the global economic crash. International cooperation should take into account current integration processes within the framework of international unions of states, and first of all, the EAEU, especially since our company is a subsidiary of one of the leaders of the insurance market of the Russian Federation INGOSSTRAKH, which for many years has been heading steadily various rankings among the Russian insurers. This allows our company to use the full potential and experience of INGOSSTRAKH group to implement the world's best practices in providing insurance services. XPRIMM: How would you describe the plans and expectations of your company and the market in general for 2019? 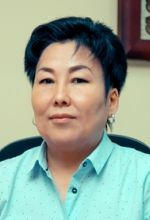 Dinara TEZEKBAEVA: Of course, one of the most anticipated events of 2019 in the Kyrgyz insurance market is the introduction of compulsory insurance for civil liability of vehicle owners, or MTPL. As mentioned above, a relevant law for the Kyrgyz Republic was adopted in 2015, and its introduction was expected in 2016. However, on the initiative of Zhogorku KENESH, the introduction was postponed to 2019. This was due to social discontent, decline of living standards and general economic slowdown in the country. As experience shows, neighboring states and EAEU member states at the stage of introducing MTPL also faced a lack of understanding of this insurance type by the public. Governments of those countries conducted informational campaigns to clarify specifics of insurance and its benefits for vehicle owners. After MTPL introduction those countries observed a decline in the share of vehicles without MTPL coverage, which indicates an increasing number of vehicle owners interested in MTPL and a growing level of insurance culture among the population. It's worth noting that the Kyrgyz Republic is the only EAEU country that has not yet introduced this type of insurance. The situation on our roads requires adoption of a wide range of measures to improve road safety, including reforming indemnity payment to victims. MTPL can be one of the key solutions to many problems that face vehicle owners. The main growth driver in the coming years will be development and introduction of new technologies. This applies to the development of technological solutions for marketing (online sales and using applications, analyzing behavioral models), technological solutions for claim settlement (using applications, reducing workflow), and automation of business processes. Our company is planning to become one of the most dynamic players in the insurance market in terms of implementing new technologies. See more details about the FY2018 results of INGOSSTRAKH Insurance in Kyrgyzstan.